Kenyan, Abraham Kiptom, beat other top world marathon runners to win the first Access Bank Lagos City Marathon on Saturday. He crossed the finishing line in 2 hours, 16 minutes, 21 seconds. 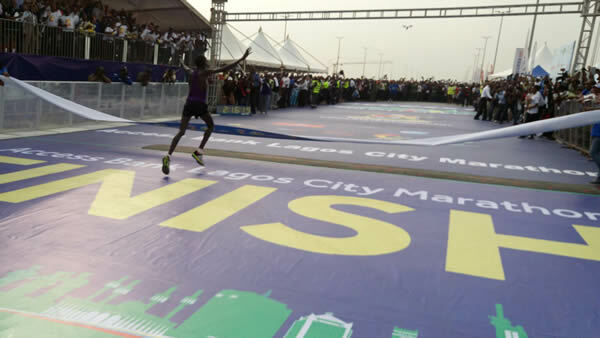 Emmanuel Gyan emerged in the seventh position, the first Nigerian to cross the finishing line. Punch reported that Kiptom will be pocketing the sum of $50,000 for winning the tournament, while the Nigerian, Gyan, from Plateau State, will be given the sum of N1m for his effort.